Many people tend to think of "e-waste" as some kind of industrial by-product. This is often true of small business owners with non-manufacturing businesses. But the truth is that almost everyone ends up with e-waste in the course of their day-to-day lives. And, because of the nature of e-waste, it must be disposed of properly. E-waste, electronic waste, is made up of electronic devices such as televisions, computers, cell phones, calculators, tablets, batteries and even microwaves that have either died, have gotten damaged, or have simply become obsolete. These devices usually contain heavy metals like lead, cadmium, copper, and chromium in their components. Electrical switches and relays, for example, often contain about 3.5 grams of mercury each. As a result, many e-waste items are highly toxic to humans, plants, animals and can contaminate water, soil and even the atmosphere. Because most e-waste items can potentially be hazardous waste, the proper disposal of E-waste is essential. 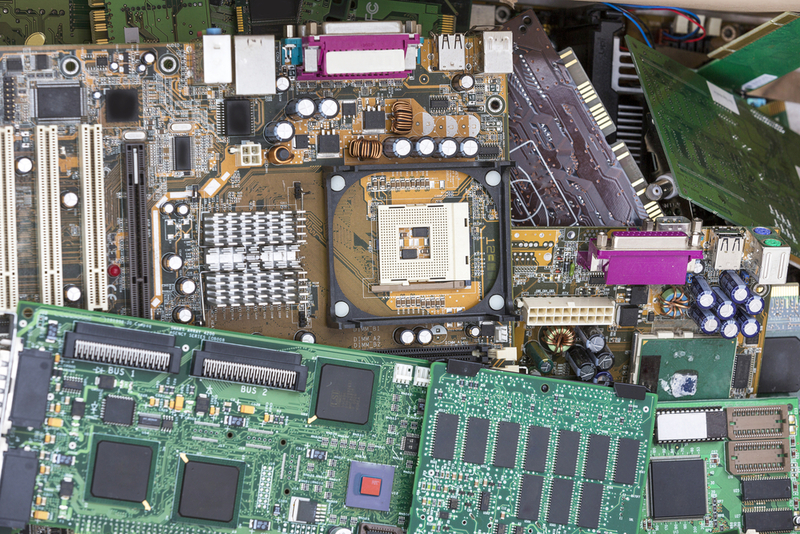 Disposal methods should serve to keep e-waste materials out of landfills and to support responsible E-waste recycling. "The Department of Toxic Substances Control (DTSC) has tested many electronic devices including: tube-type and flat panel televisions and computer monitors, laptop computers, computers central processing units (CPU), printers, radios, microwave ovens, video cassette recorders (VCR), cell phones, cordless phones, and telephone answering machines. The devices that DTSC tested contained concentrations of metals (lead and copper) high enough to make them hazardous wastes when they are discarded. Unless you are sure they are not hazardous, you should presume these types of devices need to be recycled or disposed of as hazardous waste and that they may not be thrown in the trash." We have created this handy checklist that you can keep around for tips when disposing of old or unwanted electronics and devices. Some of the most common electronic items that eventually end up as e-waste are computers (both desktop and laptop models) tablets, and cell phones. Here are some essential steps to take when disposing of these e-waste items. If needed, identify software you want to use on your new computer. Locate install files and back them up so you have them available on your new computer. Back up your files to another location so that you can either copy files to your new computer. Backup your data to an external hard drive or save your data to a flash drive. Don’t try to destroy your hard drive by drilling holes, degaussing, smashing it. It’s dangerous and ineffective. Don’t sell or dispose of your computer without having the hard drive wiped professionally, if need be. Make sure to remove or disconnect all cables, devices and media from the computer. Back up the data from your phone. If you’re trading it in for a new phone this is usually done at the time of purchase. Remove the SIM card and any SD cards. Consult your manual or ask your wireless provider for help, if needed. Once removed, your SIM or SD cards should be stored in a secure place. Complete a factory reset on your phone. A factory reset clears your old phone of all data and returns it to its original condition. 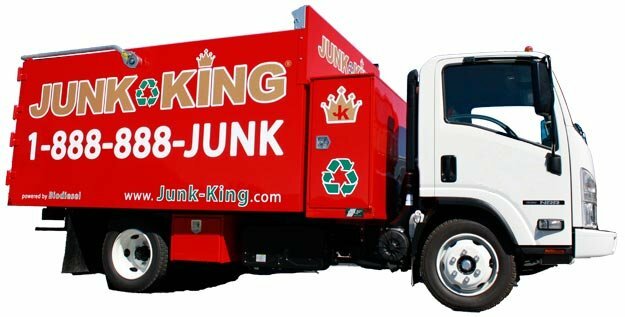 Call Junk King for proper disposal of your e-waste, if needed. Don’t put your CRT TV or monitor on the curb as it can be damaged and create a hazard. Don’t put your CRT TV or monitor in the trash as it is illegal and hazardous. Do call Junk King to pick up your CRT TV or monitor for reuse or recycling. Junk King provides an efficient, safe and eco-friendly e-waste disposal service to make the whole process easy for you. Our experienced e-waste removal team will haul off your old electronics and without damaging your home on the way out. If needed, we’ll do all the heavy lifting - no need to carry items like old stereos and TVs out to the curb. Finally, we’ll make sure that your e-waste is disposed of at a proper recycling facility so that it doesn’t do any harm to our ecosystem. Ready to get rid of your old electronics? It’s as simple as 1, 2, 3. You make an appointment by booking online above or by calling 1.888.888.JUNK (5865). Our professional and insured e-waste and junk disposal team will show up at your home or office and we will call you 15 minutes before we arrive on site. We will always give you a free estimate based on how much room your items take up in our truck. You simply point and we'll haul your old electronic junk into our junk removal trucks, with no hidden fees.